1. 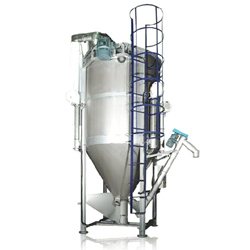 Capacity: 830 litters. 2. Mixing weight: 500kgs. 3. Motor (bower): 3HP (1/2HP x 2). 4. Elec. heater: 14Kw. 5. Machine dimensions (L x W x H): 1100 mm x 860 mm x 2100 mm.